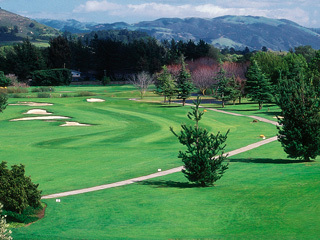 Rancho Cañada Golf Club is comprised of two 18-hole courses that weaves back and forth across the Carmel River. This estate was once a prized portion of the 4,366 acre California Rancho named, "Cañada de la Segunda." The vision of a 36-hole championship facility adjacent to the Santa Lucia Mountains was established in 1970. Rancho Cañada Golf Club sits on 270 acres of land and has hosted more tournaments than any other golf course on the Monterey Peninsula. The West Course at Rancho Cañada was designed by Nick Lombardo and Robert Dean Putnam in 1970. Located in sunny Carmel Valley at the base of the Santa Lucia Mountains sits this excellent river valley experience, traverse the Carmel River three different times. Several holes feature mature sycamore and cottonwood trees dappled along the fairways. The large greens are fairly flat but heavily guarded with bunkers. Offering a range of holes, from narrow doglegs to openly spacious, you will enjoy your experience at this well maintained facility. 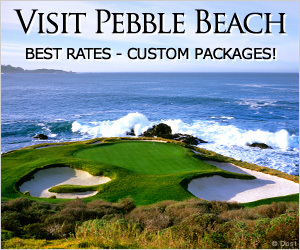 Yearly mini-memberships are available which offer some of the best rates on the Monterey Peninsula and include play at Rancho Cañada East and Laguna Seca Golf Ranch.